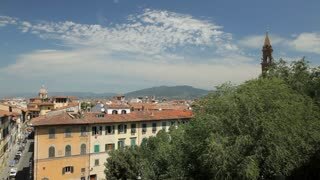 Search Results for "florence skyline"
Sunrise Time Lapse of Florence Skyline , Italy. Florence is the capital city of the Italian region of Tuscany. Florence was center of Italy medieval trade and one of the wealthiest cities of that era. Sunset Time Lapse of Florence Skyline in Italy. Florence is the capital city of the Italian region of Tuscany. Florence was center of Italy medieval trade and one of the wealthiest cities of that era. Florence skyline and Michelangelo Plaza located in Florence, Italy. Shot with GoPro in 1080p HD. Sunset Florence Skyline Italy , aerial view, Italy. View of Arno River, Ponte Vecchio from Piazzale Michelangelo. Florence Cityscape, pnoramic view. Panoramic view over wall between foliage of Florence Santa Maria Cathedral & Florence skyline in distance.